Review: Michal and Magnus, two Swedes who have been internet friends, but have never met in real life. Until Magnus takes the plunge…and then deception and chocolate come full circle in forcing these two soul mates together. It is very hard to find that special person who just clicks in every way. Michal and Magnus have that but Michal has a major fear of losing their special friendship if they ever met in person. Magnus is desperate to meet him. He knows they will be good together and so he visits Michal at the chocolate shop where he works. Chocolate plays a huge role in this audio and it made me want to visit Sweden, even though I think Belgium, normally, when I think quality chocolate. The author is new to me and I really enjoyed their writing style. The reason for the lower rating is more the difficulty in this type of story being made into a audio. Many aspects are text messages and a lot of it is missed in translation. I almost DNF’ed this audio at the very beginning because I was totally lost in what I was listening to. Once I got my mind wrapped around it, I was more able to sit back and enjoy the ride. 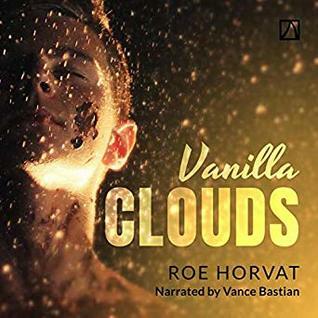 Vance Bastian is a new narrator for me, as well. He does a bang up job getting the emotions and characters to a place that fit with the setting. What I struggled with was the texting. Not sure if it was a narration issue or what, but it was a struggle for me. This is a short audio, less than four hours, and I was able to listen in one sitting. It was cute, it had a just little bit of angst, and it ended on a solid HFN. I will definitely pick up another book by this author and the narrator.